The Ugandan High Commissioner to South Africa, H.E Amb. 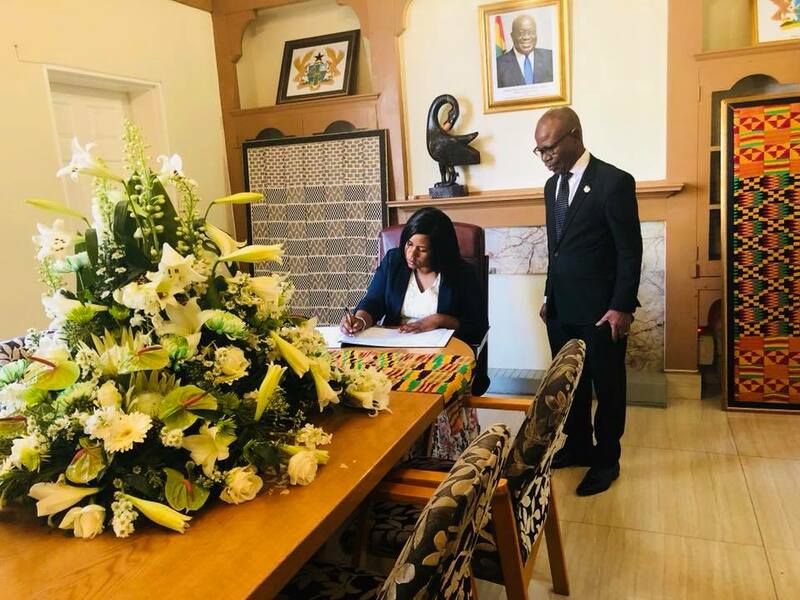 Barbara O. NEKESA flanked by H.E Mr. George Ayisi-Boateng, the Ghanaian High commissioner to South Africa, has today signed the condolence book to pay tribute to the former UN Secretary General Kofi Annan at the Ghanaian High Commission in Pretoria. The Ghanaian diplomat joined the UN in 1962 exactly the year Uganda got its independence. He joined through the World Health Organization and rose to the top echelons of the organization. He shall forever be celebrated as a Global Ambassador of a peaceful world. May the Almighty God grant him a Repose.